“If you are silent about your pain, they’ll kill you and say you enjoyed it.” ~ Zora Neale Hurston. 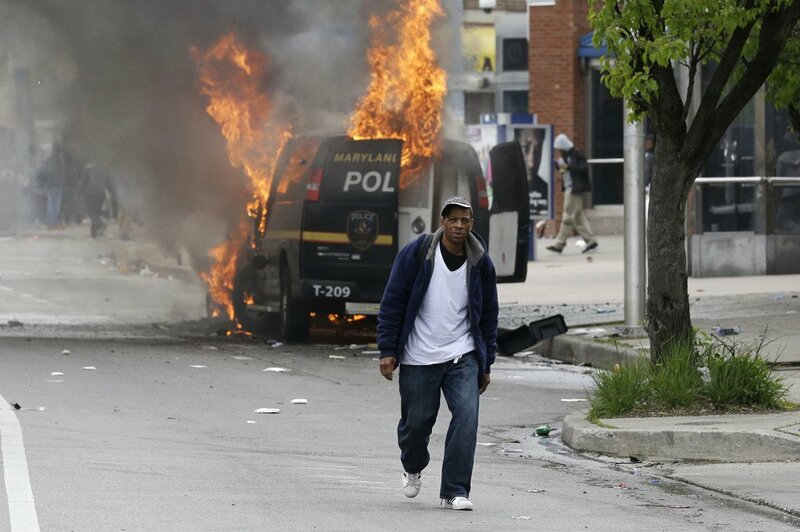 Baltimore, MA, has seen an inescapable revolt as citizens of The United States of America took to the streets in the wake of the disturbing killing, albeit mysterious, of Freddie Gray after he’d been taken into white police custody. Projectiles were thrown. Stores were looted and some set ablaze. White police officers claim they were injured! That they feared for their lives. Good! Perhaps the first time they claim they feared for their lives and a Black man is not cowardly shot and killed for absolutely no law enforcement reason. Markedly, but quite dogmatically, just before Hillary gave her so-called rousing social justice speech, she hired political operative Charlie Baker, who helped orchestrate the Fix the Debt astroturf campaign of Wall Street billionaire Pete Peterson. Its aim was, and still is, to impose even more austerity on the poor by cutting the already tattered safety net. The African American community has been betrayed by Democrats and Republicans alike for far too long — it has been betrayed by America itself for centuries. Therefore, it is not difficult to see why it is hard for Blacks in America to accept at face value any promises made or policies articulated. History demonstrates that too many forked tongues – like the Clintons and their Democrats – have delivered too many betrayed covenants. Maybe there is some glitter of hope in the ever narrowing tunnel. Sen. Bernie Sanders, at the least, will be challenging the, IQA the Incarceration Queen of America, Hillary Clinton, in the primaries. We do not endorse Mr. Sanders neither. While Clinton trills out her vague platitudes, Bernie tells it like it is a bit much – with genuine rage perhaps – and offers real solutions: a government jobs program, higher taxes on wealth, expansion of Social Security, the overturn of Citizens United. Even more heartening is that millions of people have finally had enough, all over this country. We’re joining in solidarity to rein in the police state, stop the secretive job-killing “free trade” deals, and raise wages not just to a minimum level, but to a living one. The ills of Baltimore and other struggling cities are not natural phenomena. It’s State-sponsored pathology that arrests, jails and kills Blacks, that loots pension funds, that closes schools and mental health and recreation centers, that cuts off the human right of life-sustaining water for families unable to pay the high bill. It’s abnormal for wealthy donor-bribers of corrupt politicians to use public money for private profit. When things are this dire, rage is the healthiest and most effective response there is.